This is a story from Chestnut Street in Parksville, but could just as easily take place on any residential street in British Columbia. It appears that both the residents there and the City Council are upset about the speeds of the drivers who use that street. What no one seemed to agree on was what to do about it beyond asking police to do enforcement and perhaps posting the speed limit at 40 km/h. Chestnut Street itself is a wide, flat, gently curving stretch of pavement through a residential area with large city lots. There is one lane for each direction, sidewalks and room to park on either side. All the residences seem to have large driveways as Google Street View shows no one parked on the street. The wide open space tends to lower driver risk perception and facilitate higher speeds. There was no comment from the RCMP. This segment of the meeting ended with council passing a staff recommendation to enter the street into a three stage process that will start with public education, possibly followed by signage and enforcement and finally the possibility of traffic calming measures. This could be seen as a continuation of the status quo with a vague promise of the possibility of traffic calming somewhere in the future. There was one letter to the editor prompted by the story from a Chestnut Street resident. He observes that traffic frequently travels past his house at 60 to 70 km/h and this makes it very difficult to back out of his driveway safely. The solution offered by this gentleman is the installation of speed humps. The ITE document is a short guide on how to go about solving the problem that involves all stakeholders, including the missing element in this story, the residents themselves. They cannot expect to make their concerns known and then wash their hands of the problem. The City of Parksville is doing their part as outlined. What we don’t know is where they are channelling the traffic ticket revenue the province hands back to them each year. We don’t know what the police are doing, or if they were asked to comment. They are accountable as employees of the City and should be able to outline their perception of the traffic problem and the steps that they are taking to solve it. We do know that they are partially hamstrung in their efforts as the Province of British Columbia will not allow automated speed enforcement. The Speed Watch section of the Oceanside Community Safety Volunteers is silent about their efforts and how to ask them to work in your neighbourhood. My final thought is that I wonder how many of these speeding drivers are Chestnut Street residents? If Rossland Could Do This, Why Not Abby, Mission Or The Wack? 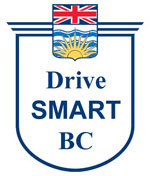 Be the first to comment on "DriveSmart BC Speeding In Residential Areas"